Tinbergen Institute Amsterdam is located at the Zuidas in the Symphony Building. The Symphony Building can be reached very conveniently by means of public transportation. 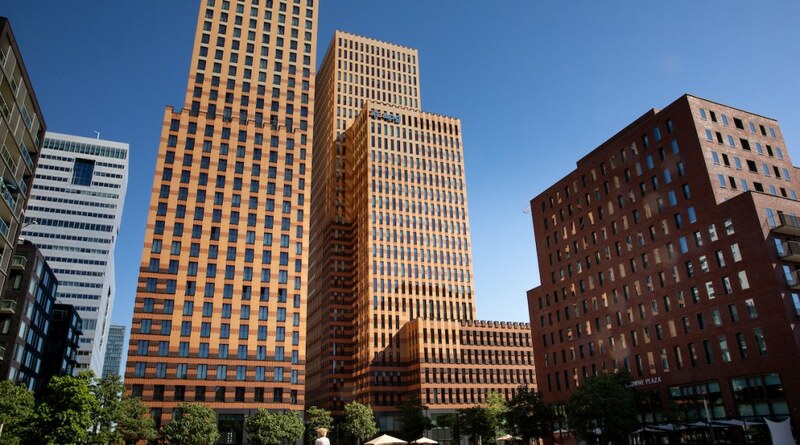 The Amsterdam Zuid railway station is just 200 meters located from the Symphony Offices building. Take exit Zuid (South) at the railway station. This will lead you to the Gustav Mahlerplein. The Symphony Offices building (brown/orange brick stone building) is across the street on the other site of the square. Take the second entrance (no. 117). From railway station Schiphol you can take a train approximately every 6 minutes during office hours heading for railway station Amsterdam Zuid, travel time approximately 8 minutes. On A10 ring road south, take exit S108 Amsterdam. At the end of the exit go left. Directly after the first traffic lights turn left. This street is called De Boelelaan. After approximately 700 meters turn left on Buitenveldertselaan (road with tram tracks). After the first traffic light turn right into Gustav Mahlerlaan. After about 500 meters you will see the Symphony building on your right hand side orange/brown brick stone building). Directly behind the Symhony building turn right into Leo Smitstraat. The entrance to Symphony's parking garage is on your right. Parking fees will be charged. A10 ring road south, take exit S109 Amsterdam. At the end of the exit turn left, follow the signs WTC. Directly after the first traffic lights turn right. This street is called De Boelelaan. After approximately 700 meters turn right to Van Leijenberghlaan. At the first traffic lights turn left into Gustav Mahlerlaan. At approximately 100 meters you will see the Symphony building on your left hand side (orange/brown brick stone building). Ahead of the Symphony building turn left into Leo Smitstraat. The entrance to Symphony's parking garage is on your right. Parking fees will be charged.